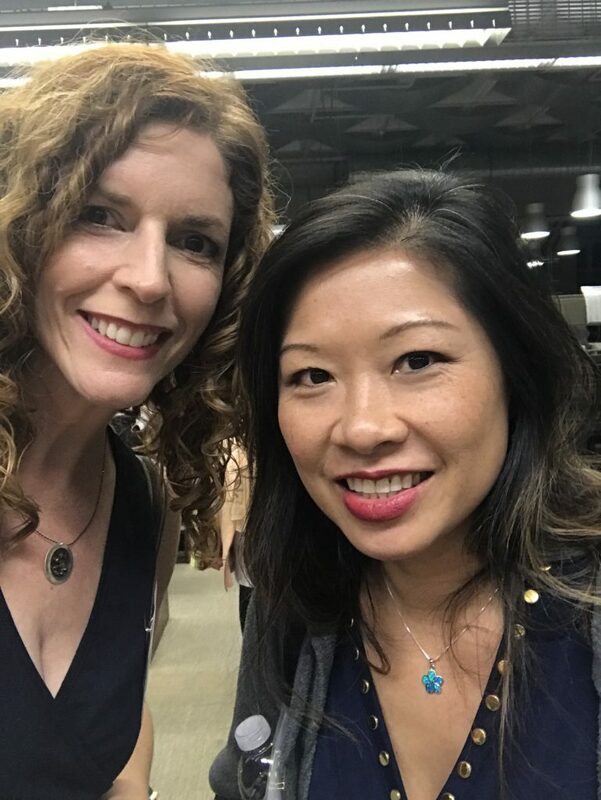 A few months ago, I had a book reading and signing at Mission Hills Library, one of the several branch libraries of the San Diego Public Library system. The librarian, Steve, is a true gem—the paragon of librarians: kind, approachable, thoughtful, and knowledgeable of many things. 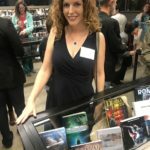 He told me that, since I had that signing and a recent book release, I was eligible for participating in the Local Author Program. I registered for the event, not really knowing what to expect. 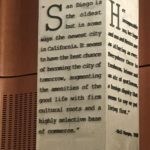 As part of this program, the Local Author Showcase is a celebration of local authors in San Diego and its surrounding communities. This is its 53rdyear! 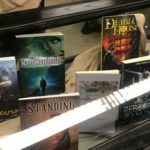 It is open to authors who published a book in the past year, and honors both traditionally and independently published authors. That alone appealed to me, as an indie science fiction author. 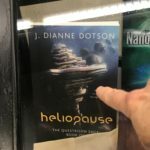 As a requirement of each author, I submitted a copy of my book Heliopause: The Questrison Saga: Book One to the library. The Showcase displays books of participants in glass cases at the stunning Central Library for all the month of February. After that, the books enter circulation for library loans for a year! 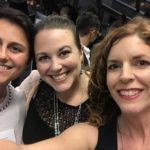 To top that off, the Central Library hosted talks and a reception for the authors. I really enjoyed the encouragement to join the Friends of the Central Library, and to volunteer for its various events and needs. 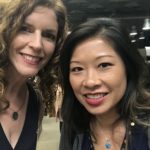 Authors support each other, but libraries also support all of us, and need our love. I look forward to helping out! We authors were treated to good food and drink, and then we were allowed to view our books in their cases. 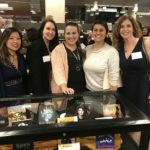 This allowed us to mingle with other authors and members of the community. 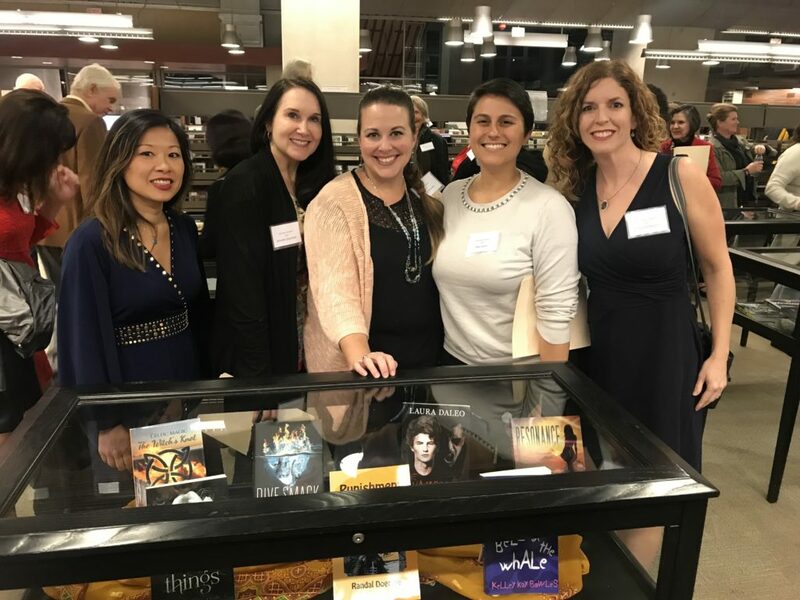 I was reunited with some of my favorite author friends, Henry Herz, Mya Duong, Ana Levley, Joanna Volavka, and Jennifer Greenhall. 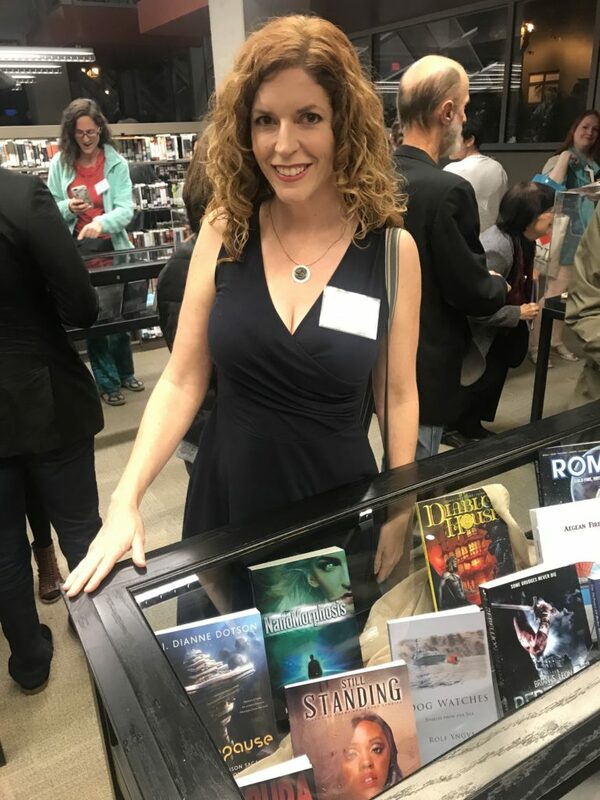 This was a truly wonderful event, and I am humbled and thrilled to be featured as one of San Diego’s Local Authors. 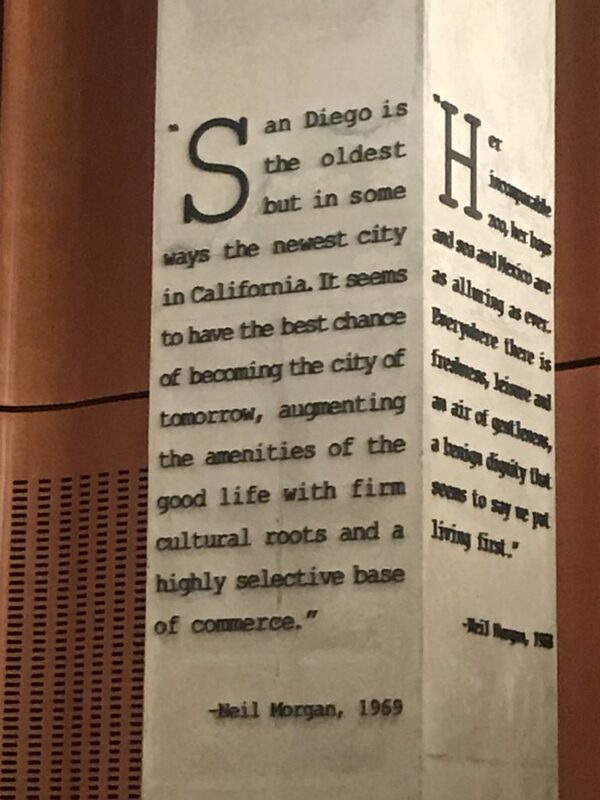 Thank you so much, San Diego Public Library! J. Dianne Dotson holds a Certificate of Achievement for participating in the Local Author Program. 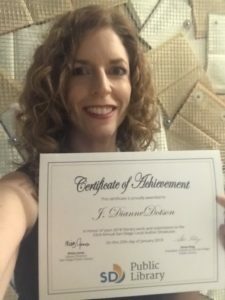 Photo by J. Dianne Dotson Copyright 2019. 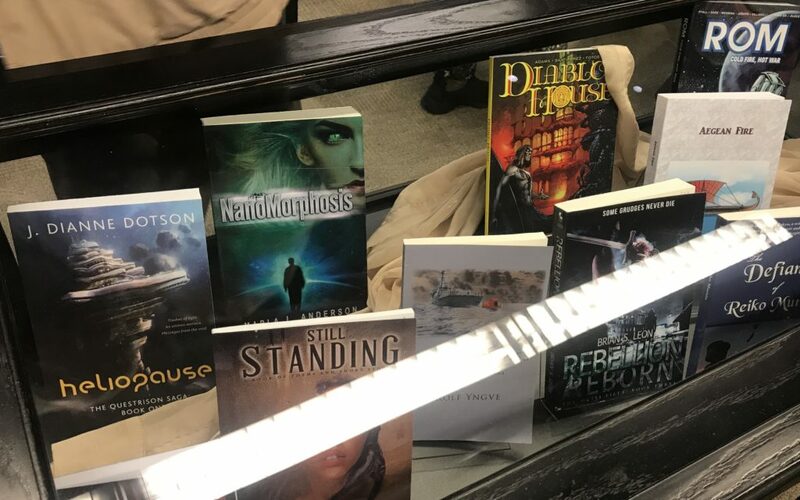 Image Credit: (Header) Display case of some Local Author Program participants’ novels at the San Diego Central Library. 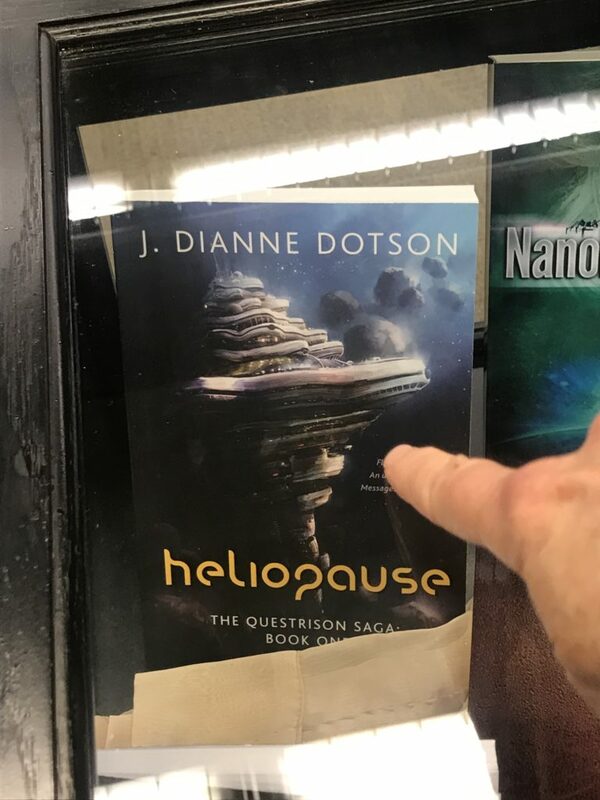 Heliopause: The Questrison Saga: Book One is featured throughout the month of February. 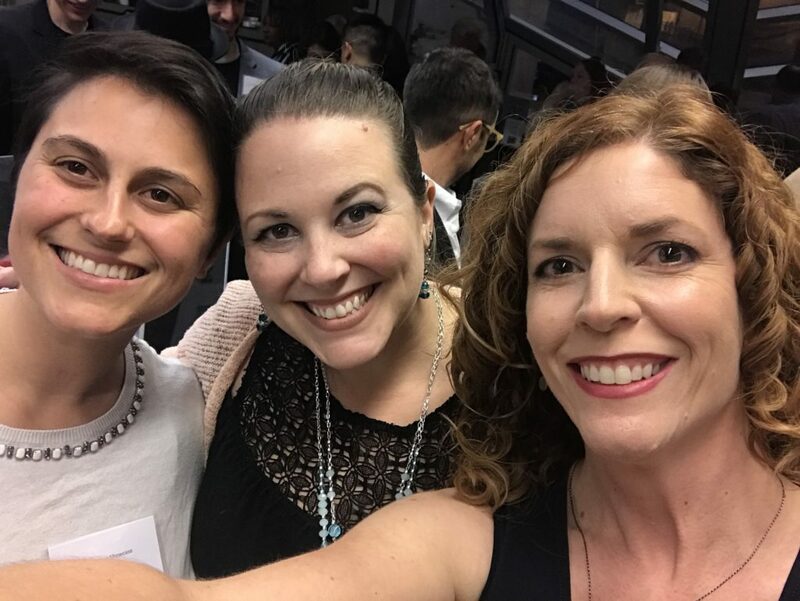 Photo by J. Dianne Dotson Copyright 2019.